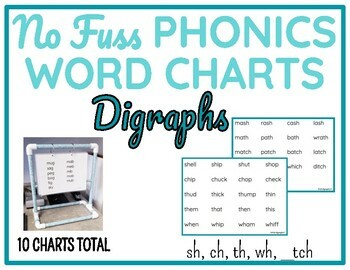 Reinforce digraph decoding during small group phonics instruction with these simplified word charts. 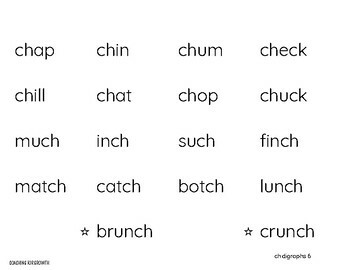 Set includes word charts for sh, ch, th, wh, and tch patterns for a total of 10 charts. Manuscript based font with NO distracting fonts, borders, or clipart. 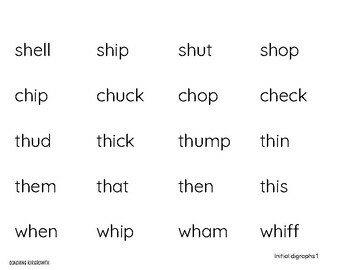 Fully decodable.